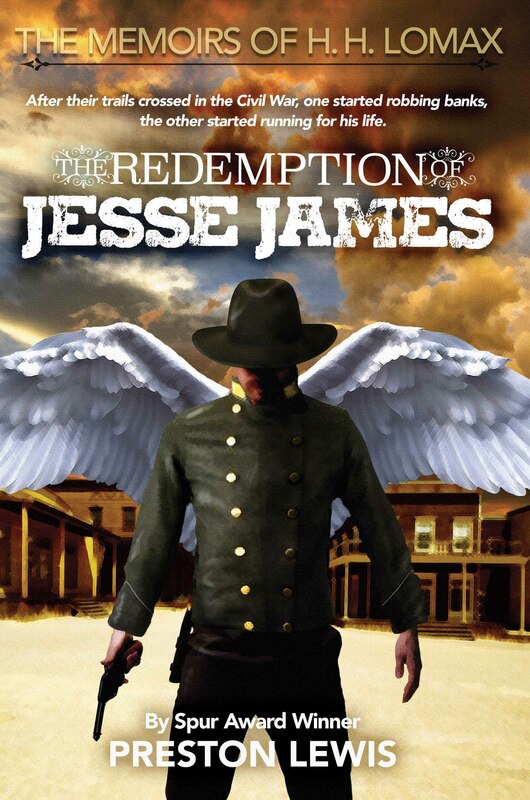 The cover is now finalized and I’ve completed the final proofing, so The Redemption of Jesse James should be back in print and in e-book versions in a few weeks. One of the nice things about getting the books in The Memoirs of H.H. 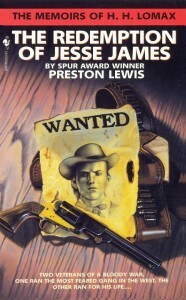 Lomax back in circulation is that it has allowed me to reconnect with the original editors—Elizabeth Cosgrove and Pam Lappies—at Book Creations Inc., which packaged the series for Bantam. I’ll share the editorial story of Satan the cat, who appears in Mix-Up at the O.K. Corral, in a later post, but suffice it to say it was such a pleasant experience working with the BCI crew that I dedicated Mix-Up to them all—Elizabeth, Pam, Sally Smith and Paul Block. One of the reasons Lomax was so likable is that he had a knack for stumbling into things on the periphery of history. For instance, everyone knows Jesse James was shot in the back while straightening a picture on the wall. What most people don’t realize is who bumped the wall to begin with and left the frame askew. Enter Lomax! Just as Lomax is not your typical western hero, the new cover of Redemption is atypical for a western. Fact is, you won’t find many shoot-’em-ups with angel wings on the cover. The publisher’s thought was that the insinuation of the supernatural might get readers to purchase a book they might not otherwise read. We’ll see how it works. When I first saw the Redemption cover schematic, I was undecided and reluctantly okayed it, requesting only that the angel’s attire be changed from cowboy duds to a Confederate uniform since the bulk of the novel is set in Civil War Arkansas. Since then, the cover has really grown on me. I’ve posted both side by side so folks can decide for themselves whether they prefer the new or the original cover.